Yunus brings with micro-credits, cell phones and laptops the opportunities for the world's poorest to flourish. Happy 40th birthday, the internet. The first message was sent across Arpanet exactly 40 years ago, on 29 October 1969. The man who sent the first-ever internet message in 1969 recalled the event Thursday at a conference celebrating the 40th birthday of the revolutionary communications network. "It's the 40th year since the infant internet first spoke," University of California at Los Angeles Professor Leonard Kleinrock told a conference of entrepreneurs, computer scientists and technology pundits. "The internet is a democratizing element; everyone has an equivalent voice. There is no way back at this point. We can't turn it off. The internet age is here." "The net is penetrating every aspect of our lives," Kleinrock said. "As a teenager, the internet is behaving badly. The dark side has emerged. The question is, when it grows into a young adult will it get over this period of misbehaving?" To show the good side of the Internet is the concern of the online book GOLD DUST. can be defined as core textbooks for students, with which students can learn contents that are tailored to their abilities and interests. Digital textbooks offer various interactive functions, and provide the learner with a combination of textbooks, reference books, workbooks, dictionaries and multimedia contents such as video clips, animations, and virtual reality, both at school and at home, without the constraints of time and space. In other words, digital textbooks are alive and in motion, and as such are literally living and moving textbooks that construct and create the knowledge not only of individual learners, but also the community, and support and manage the teaching and learning activities of teachers and learners. Learners can create their own textbooks while using the digital textbook, underlining the important parts, taking notes, and ultimately combining the contents with high-quality, reliable knowledge that is their own. California Governor Arnold Schwarzenegger has announced plans to phase out school textbooks in favor of digital learning aids as the state looks to plug its massive budget hole. "Kids, as you all know, today are very familiar with listening to their music digitally and online and to watch TV online, to watch movies online, to be on Twitter and participate in that and on Facebook," Schwarzenegger said. "The textbooks are outdated, as far as I'm concerned, and there's no reason why our schools should have our students lug around these antiquated and heavy and expensive textbooks. California is the first state in the United States to introduce such an initiative, Schwarzenegger said. You are invited to include the online schoolbook GOLD DUST in your lessons. Please contact : info@pio-pio.de and give us your valuable comments. "A computer in the classroom is a great thing," says Craig Barrett Intel's ‘Professor chip'. "But he is not a magic box. The magic doesn't come from the machine. The magic comes from the teacher. He has to excite, inspire and promote creativity of students. " Universal standards of Humboldt's educational ideals :"‘Education, truth and virtue' must be disseminated to such an extent that the ‘concept of mankind' takes on a great and dignified form in each individual." Online platform Connexions is a nonprofit project for the publication of textbooks and learning materials on the Internet. Connexions offers users the possibility to find high-quality educational materials. The material is freely available in the network. Every month are 850 000 people from over 200 countries on the online archive. A resource for teachers, literacy organizations and anyone interested in reading and education, created in collaboration with LitCam, Google, and UNESCO's Institute for Lifelong Learning. 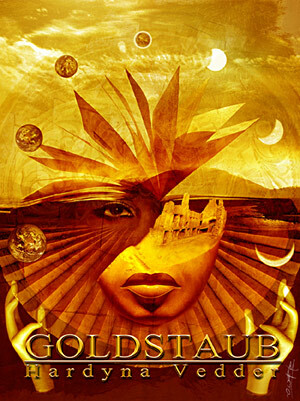 Now you can read the fantasy story "GOLD DUST" in English (PDF), translated from the German by Brigitte Goldstein. The winner of the competition "become an artist" is called Oliver Wetter, digitalillustrator and designer. His painting "The source" will be used for the fantasy story "Gold dust", the core of the digital teaching concept "Papillon". Textbook of the digital teaching concept download for free (PDF). Soon the“GOLD DUST” book will be available to download for free. Later this book will be published as online book (according to the papillon principle). Everyone can participate in developing the first online book. The fantasy story “GOLD DUST” is a combination of grand adventure, magical effects and special learning.